The headlines were bleak. 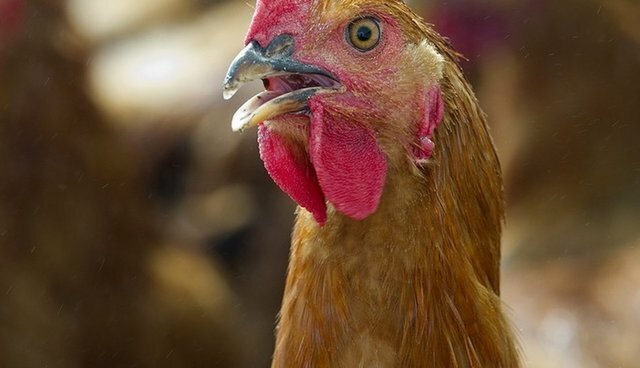 Thousands of chickens died of heat stroke inside factory farms in South Carolina. The culprit? Sabotaged ventilation equipment – apparently the work of unknown vandals who seem intent on exacting revenge against the poultry company Pilgrim's Pride, and causing immense animal suffering. Correctly so, rewards are being offered for the arrest of the perpetrators, and Pilgrim's Pride lamented that "these heinous acts resulted in a cruel death for several thousand chickens." Pilgrim's Pride is of course right, and the fact that these killings were so senseless speaks volumes about the perverse motivations of the perpetrators. But outrage about a specific act of animal abuse from an industry whose systemic practices allow the mistreatment of billions of animals seems perhaps less than genuine. At some similar facilities, the chance of employees themselves engaging in similar behavior may not be as small as we'd like to think: Shockingly, investigations of Pilgrim's Pride facilities have found the company burying birds alive in mass graves, and the USDA has found repeated and severe animal welfare problems at Pilgrim's Pride slaughter facilities. Had these avian crime victims lived, they wouldn't have had much to look forward to. Most chickens are confined by the tens of thousands inside huge, dank warehouses in which they have little to do but eat and sit down-in their own feces. Part of the problem is that these chickens-animals who are normally quite athletic-have been genetically manipulated to grow so obese so fast that many can't take more than a few pitiful steps before collapsing under the enormous weight of their oversized breasts. Animal science expert Temple Grandin, Ph.D., sums it up bluntly: "Today's poultry chicken has been bred to grow so rapidly that its legs can collapse under the weight of its ballooning body. It's awful." Awful indeed. As is the amount of time the animals, as a consequence, spend wallowing in manure-and not only their own. When producers bring a new flock of birds into a shed, standard practice is to leave the manure-laden litter from past flocks on the ground. So every couple months, the new birds are living on top of prior generations' waste. Their final day on earth isn't much better. In fact, the poultry industry has long-obstructed efforts to include chickens and turkeys under the modest protections of the federal Humane Methods of Slaughter Act. In other words, unlike cattle and pigs raised for meat, the birds in poultry slaughter plants don't have to be rendered insensible to pain before they are slaughtered, and are often killed while still conscious. So let us be horrified by the criminal mistreatment of animals that occurred at Pilgrim's Pride this past week. But let us also remember that mistreatment is occurring on a much broader scale on factory farms, and is often sanctioned by industry officials themselves.